“Minimally-Invasive” means making the smallest holes possible in the body through which small tubes are placed in order to perform surgery. The larger the incision (the “opening” into the body) the more “invasive” the surgery is considered. As gynecologists we have moved towards performing all of our procedures by minimally invasive techniques. 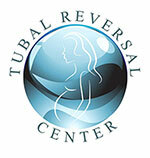 Dr. Morice has performed several thousand minimally-invasive surgeries, including several hundred Robotic surgeries, but the most common type of Tubal Reversal surgery is still performed through a mini-laparotomy incision. This is because the cost for using minimally-invasive laparoscopic equipment and Robotic equipment is much higher than the cost of simply making a slightly larger incision (a “mini-laparotomy”). Because Tubal Reversal surgery is paid for by the patient themselves, and not their insurance company, cost becomes a primary factor for the patient. Most patients feel that foregoing the extra expense of a minimally-invasive procedure is worth the extra week or so of recovery from a more invasive mini-laparotomy procedure.